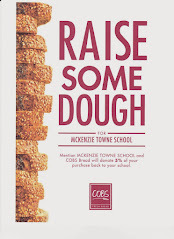 McKenzie Towne School Parent Association: Last Day for Coco Brooks Fundraiser and Information from last nights meeting. Last Day for Coco Brooks Fundraiser and Information from last nights meeting. Thank you for all the orders that have come in so far! What an amazing selection of goods offered this year through the Coco Brooks Fundraiser. From spices to specialty meat, cheesecake to chicken breasts, they really have it all!! Just ordered our Bacon Double Cheeseburger pizza's and love the convenience of being able to pull out a quick dinner on those especially crazy nights, like yesterday! Speaking of yesterday, we had a tremendous turnout to our MTSPA meeting and hope to see you all at the next meeting! Watch the facebook page and the mtsparents.com site for updates on information sessions. Also, the website concerning new school construction is here. The link to CBE Transportation information is here. And finlly, the page that details walk zone and McKenzie Highlands info is here. It's an exciting time in our community, please take the time to read about some of the proposed changes.